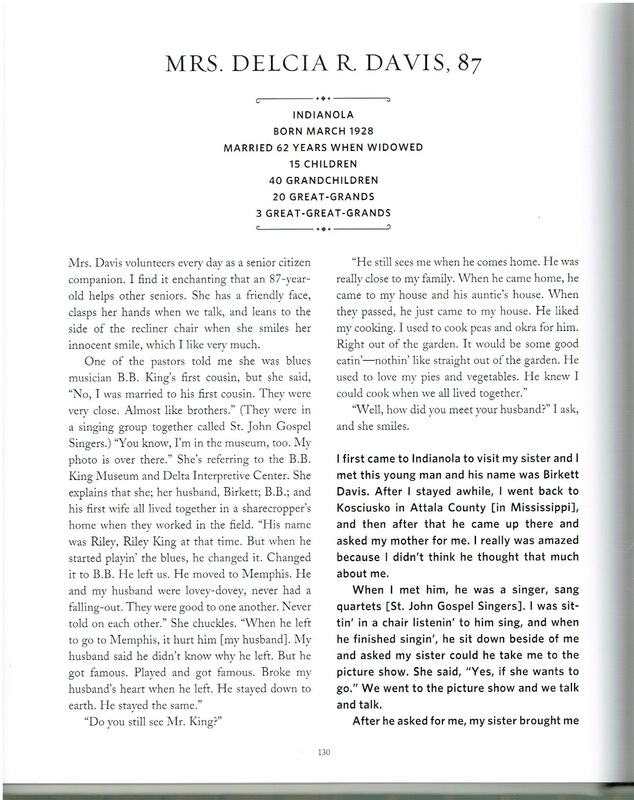 I fell in love with the book Delta Jewels from the moment I saw the cover, the sweet face of Mrs. Annyce P. Campbell, age 90, staring out at me with an expression both welcoming and reserved, with both sorrow and joy in her eyes. 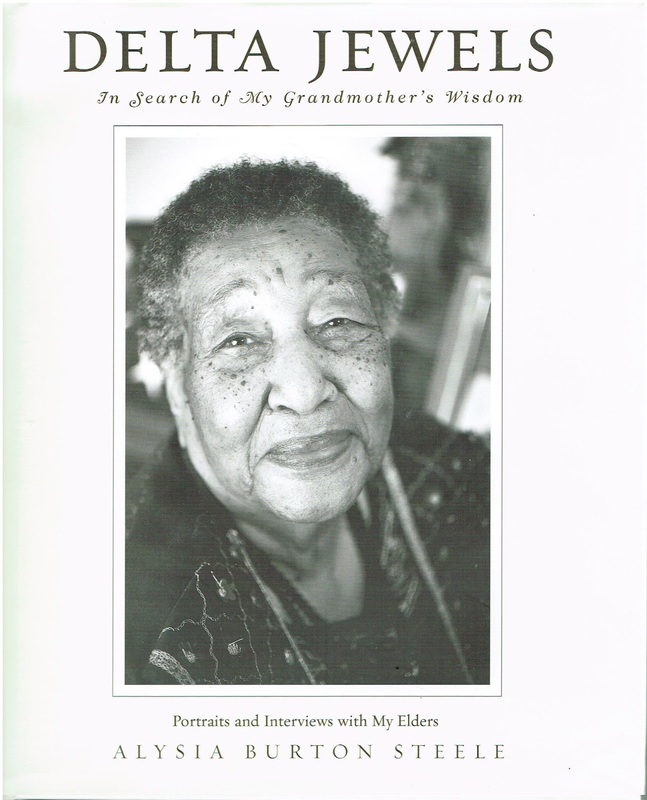 Delta Jewels: In Search of My Grandmother’s Wisdom – Portraits and Interviews with My Eldersby Alysia Burton Steele, (Center Street Books, 2015) is a deep warm look at elder women of the Mississippi Delta. I lived in Memphis for the first 46 years of my life. 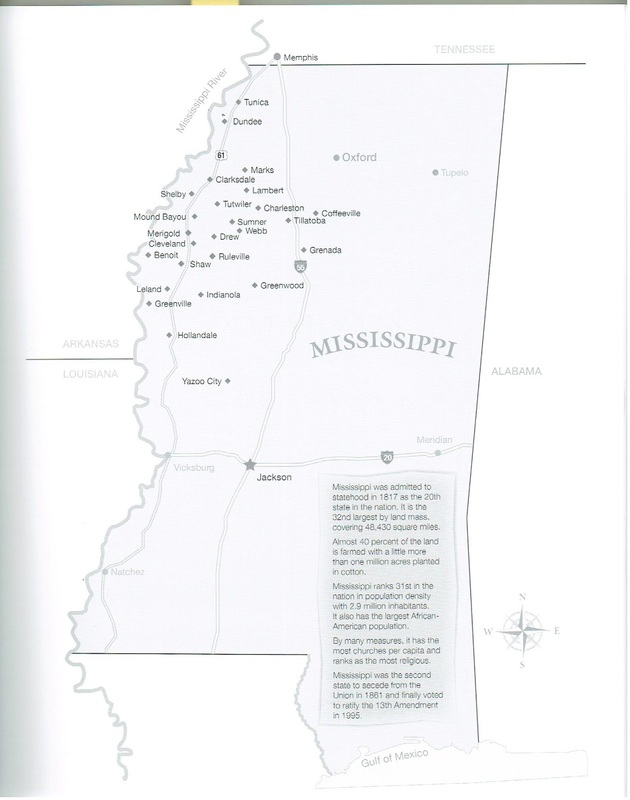 Memphis is really more North Mississippi than Tennessee. I’ve never driven, so I rode the bus a lot. It always amazed me that it was the elder Black women on a crowded bus, who, seeing my limp, would quickly give up their seats for me. I told them I was fine, but they kindly and firmly insisted I sit myself down. There’s something in Mrs. Campbell’s face gazing from the book that reminded me of those kind women who showed great dignity in everything they did. 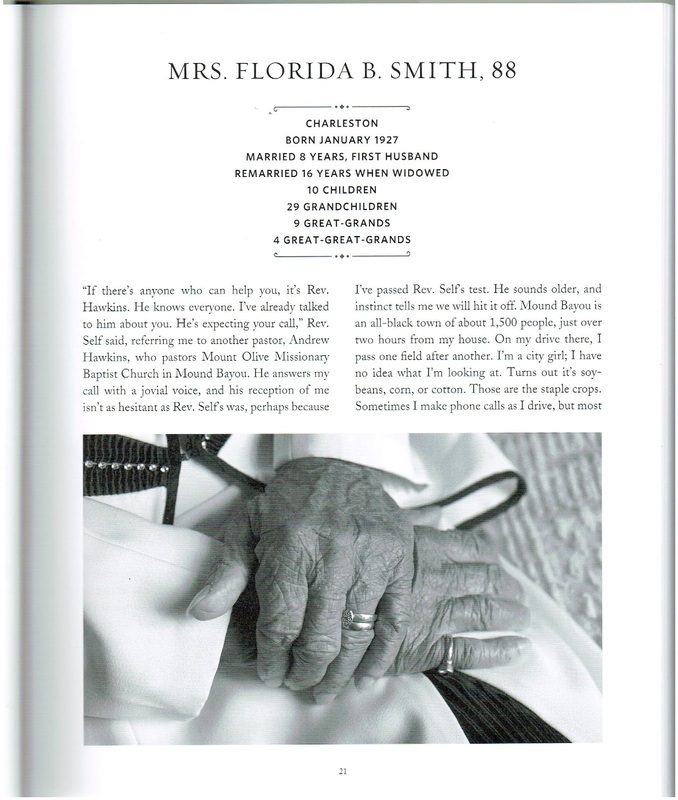 “My paternal grandmother died in 1994. Although I’ve taken photos since I was fifteen years old, I never thought about taking Gram’s photo or recording her voice. Those were the days before cell phone cameras! I thought there would be more time, but instead I took her for granted. I’ve missed her increasingly over the years. Time didn’t stop my brain from trying to remember, having regrets, wondering what I could have done to preserve every single thing about her, before she became a shadow of a memory. 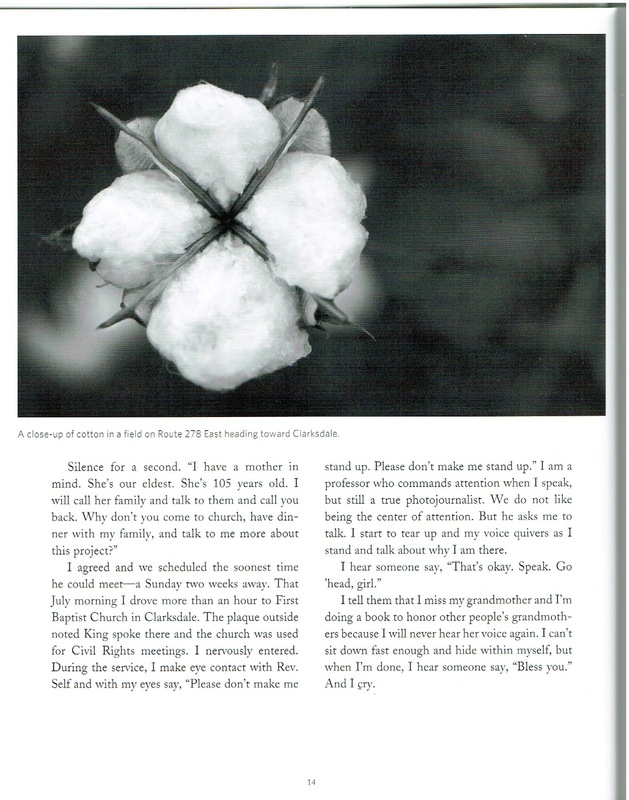 I could honor – and perhaps recapture – her memory by recording stories from other women of her generation, I thought, so I began to interview and photograph grandmothers in Mississippi, my new home state. 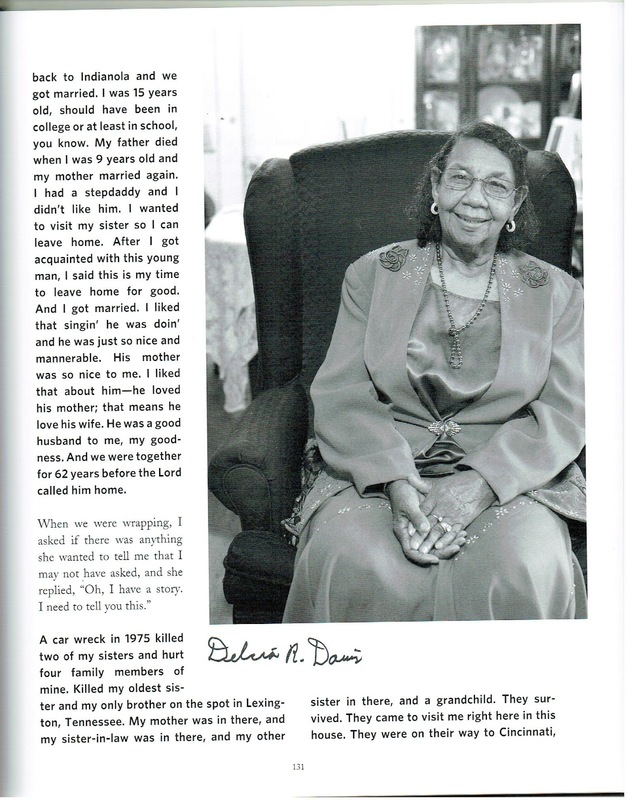 These Delta Jewels are matriarchs of their families, like my grandmother. They are church women, female elders, living witnesses to history. They are ordinary women, who have lived extraordinary lives as they courageously faced the injustices of the Jim Crow era and experienced the hard-won changes and victories of the Civil Rights Movement. Steele weaves her own story through the book and so it becomes and odyssey of identity as a well as a tribute to grandmothers. Steele’s writing is lively, personal, and gracious. She doesn’t keep a detached distance from the women she interviews. 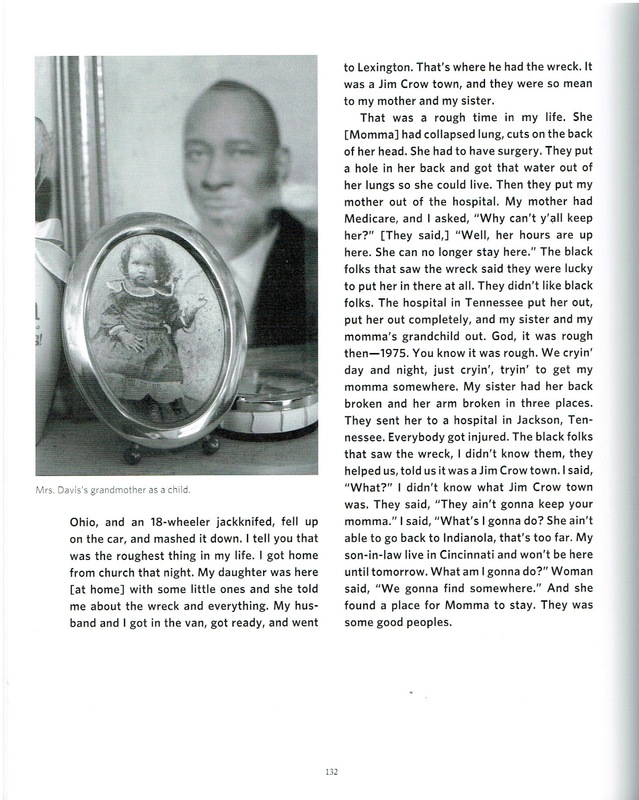 The voices and history of elderly Black women in the Mississippi Delta are particularly poignant and important. As we still struggle to become a nation that respects every American, it’s vital to capture the history of people whose voices have largely been ignored. https://player.vimeo.com/video/120191995 Delta Jewels by Alysia Burton Steele from alysia burton steele on Vimeo. Alysia Burton Steeleis an award-winning photographer and author. In 2006 she won a Pulitzer Prize as part of the picture editing team with The Dallas Morning News for their coverage of Hurricane Katrina. Steele is currently an assistant professor for The Meek School of Journalism and New Media at The University of Mississippi. Born in Harrisburg, Pennsylvania, she now resides in Oxford, Mississippi. 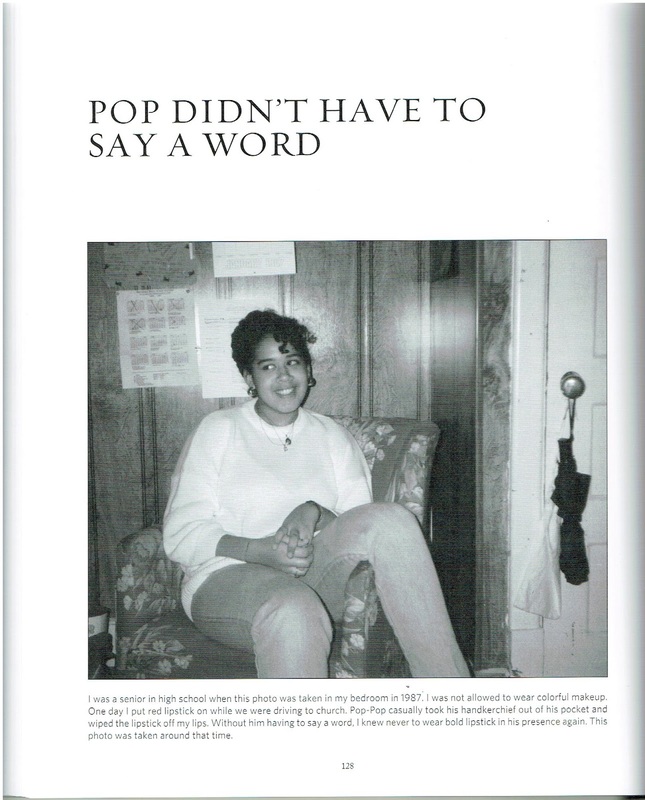 You can read more about her and the Delta Jewels on her website by clicking here.